Aleph is currently a bestseller all over the world. Is the global success of your books proof that everyone shares the same fears and dreams, and people are not as different as we sometimes think? Questions. I think people all over the world have the same questions. I would not say fears and dreams – probably also – but when I write a book I concentrate on my personal questions. What I realise from reading tweets and comments from social communities is that although we don’t share the same answers – and we don’t – we share the same questions. This is something that helps a lot. I don’t feel alone as a writer. Because you always ask yourself, ‘I’m writing this for myself, but does anyone else know what I’m talking about?’ And they do. Having brought inspiration to so many, it might surprise some readers of Aleph to discover that you were undergoing your own crisis of faith. Faith is not a straight line. It’s like if you climb a mountain. You have your ups and downs. I need faith to believe in God. Atheists also need faith to not believe in God. Like everybody else I have my moments of doubt. 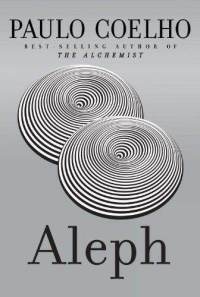 Like The Alchemist, Aleph recounts a physical journey, which is ultimately a spiritual one. Why did you have to travel across a continent to discover something inside yourself? In 2006 I was in my comfort zone; bestselling author all over the world, looking like I had no more challenges in life. And this is not good because life is a constant challenge. People tend to stay in the comfort zone because it is safe but if you don’t accept challenges you are dead! Let’s not generalise Steven! Many people, but not everyone, otherwise I would not have any readers! It’s a tendency we have and we have to fight against it. Some people aren’t fighting hard enough. Yah true. We fear to change. Do people read your books to help them fight? My books can act as catalysts. They can provoke a reaction in a person that is already ready for change. I don’t think my readers are reading the books trying to learn how to change. You read a book at the right moment and then you see that you have already this volcano inside of you ready to explode and the book uncaps this volcano.